JOHANNESBURG — Global health experts are urging the Trump administration to allow U.S. government disease specialists — "some of the world's most experienced" — to return to northeastern Congo to help fight the second-largest Ebola outbreak in history, and the worst ever for Congo. The U.S. experts have been sidelined for weeks, ordered away from the region because of State Department security concerns. Two top medical journals this week have published commentaries calling on the U.S. to change its mind and send them back where they are sorely needed. 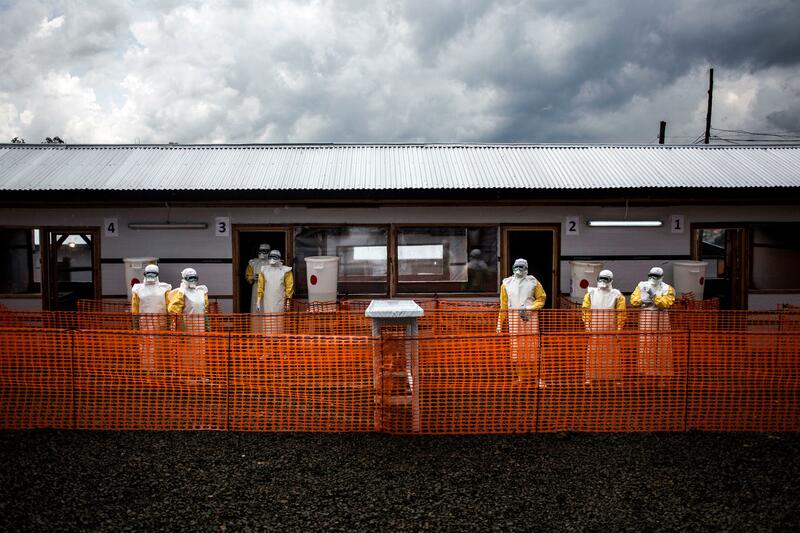 "It is in U.S. national interests to control outbreaks before they escalate into a crisis," one group of global health experts wrote in a commentary in the Journal of the American Medical Association. A separate one in the New England Journal of Medicine said, "Given the worsening of the outbreak, we believe it's essential that these security concerns be addressed and that CDC staff return to the field." A State Department official said that CDC experts — and those with the U.S. Agency for International Development, who are also affected by the order — are still working closely with international partners to stop the outbreak. There was no immediate comment from the CDC to the commentaries. The security concerns are real, Ebola responders say. Teams with the WHO and Congo's health ministry venture out on virus containment missions accompanied by U.N. peacekeepers or other armed security in areas where gunfire echoes daily. Given the complications, this Ebola outbreak will last at least another six months before it can be contained, WHO emergencies chief Dr. Peter Salama has predicted. Despite the challenges, Ebola health workers have made breakthroughs that have given new hope in the fight against one of the world's most notorious diseases. More than 37,000 people have received Ebola vaccinations and Congo has begun the first-ever trial to test the effectiveness and safety of four experimental Ebola drugs. "We haven't seen the height of this outbreak," she warned as Ebola moves into new areas in Congo that are worrying close to a heavily traveled border with Uganda. "If want to see the end of this, we do need all critical actors on the ground."